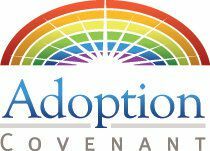 Adoption Covenant provides an adoption service that helps recruits families for children legally available for adoption and currently in the Texas Foster Care System. This may be an option for you if you are looking to adopt a child. be at least 21 years of age, financially stable, and responsible mature adults, participate in a home study which includes visits with all household members and history, background checks, and abuse/neglect checks on all adults in the household, and attend free training to learn about issues of abused and neglected children. Adoptive applicants will participate in pre-service parent training and background checks leading up to a Home Study that will indicate what types of children they would prefer to adopt. Applicants are encouraged to develop an adoptive parent photo album showing themselves, home, neighborhood, hobbies, extended family and friends, etc. As children become available for adoption, CPS will make a formal request for adoptive homes. Adoption Covenant staff will review the request and submit the homes with matching characteristics for a specific child or sibling group. Additionally, Adoption Covenant will circulate your information to CPS offices statewide in case children become available which would be appropriate for your family. CPS conducts a meeting with Adoption Covenant staff to discuss and identify matching criteria between the child and parent. If Adoption Covenant staff and CPS agree there is a match CPS will provide a de-identified copy of the child's case record for Adoption Covenant staff and the adoptive parent to review. If the adoptive parent agrees the child or sibling group seems to be a match for them, Adoption Covenant staff notifies CPS and a full disclosure or presentation staffing is scheduled. The presentation staffing is to provide formal full-disclosure for the prospective adoptive parent and Adoption Covenant staff. CPS staff will give a verbal case history report specific to this child or sibling group based on the information known to them. In turn the adoptive parent and Adoption Covenant staff have the full opportunity for questions and clarifications. Normally the children's current caregivers participate in this meeting. After a few days, the adoptive parents are asked to provide their final decision accepting placement of the children. The prospective adoptive families are asked to make a very strong commitment to the children. Great care is taken in this process to ensure these children are not put at risk of being rejected by the prospective families once pre-placement visits begin. After the adoptive parent has made the decision to move forward, the introduction and placement process will begin. In most cases the CPS case manager will use the adoptive parent's photo album to begin introducing the child to the adoptive parent. The child will be allowed to keep the album through out the pre-placement process. Visits traditionally begin at the foster home, moving to a neutral setting such as a park, children's museum or restaurant. The process continues over a period of 5 to 7 days concluding with an overnight visit to the adoptive home. Soon after the child will have a good by visit with his previous foster parent and the adoptive placement will occur. Adoptive placements are supervised for six months prior to the adoption becoming finalized by the court. With the children placed, the adoptive parent goes through the process of really learning the children's schedule, routines and behaviors. The adoptive parent begins by doing the normal: enrolling in school, adding them to your insurance, selecting a pediatrician and dentist. Pathways adoption coordinator will help coordinate activities by providing an Adoptive Plan of Services and scheduling counseling and other support services, as needed. Pathways adoption coordinator will provide the adoptive parent 24/7 contact numbers for assistance in case of emergencies. CPS may provide additional support services to adoptive children that meet 'special needs' criteria. Children that meet these criteria can receive adoption subsidy payments, Medicaid, nonreoccurring legal fee reimbursement, tuition waivers for state colleges and technical schools.